“Mons Baebius” guesthouse is an authentically renovated house in the abandoned village of Štokić Pod in the Velebit rewilding area. However, it is much more than an ordinary holiday rental property. 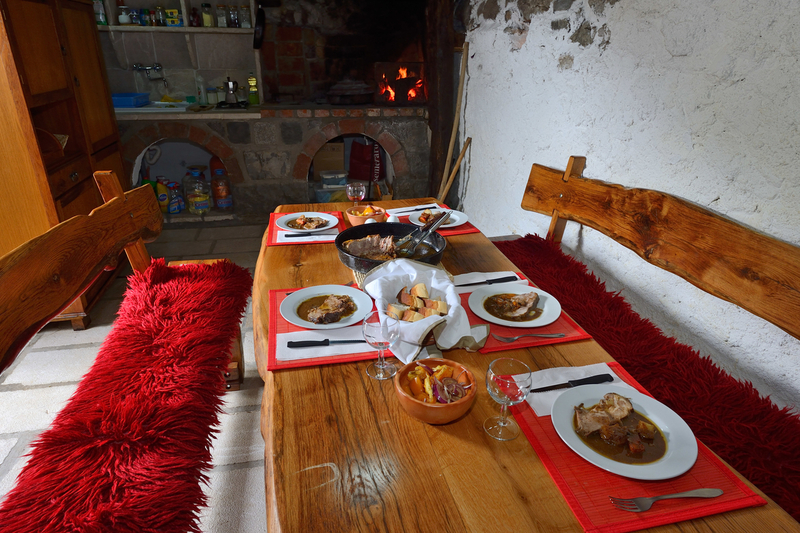 The house is located under of one of Velebit’s peaks, and is about 15 km (three km air distance) away from the coast, offering its guests the unique combination of the landscape and wildlife of both the mountains and the sea. Apart from the extraordinary natural beauty of this area, staying in the house itself is an experience impossible to describe, where one can sense not only the history of the place, but also the spirit of the mountain. “Mons Baebius” means Velebit Mountain in Latin and it bears its mountain name with a deserved pride. The Velebit Mountain range stretches for 145 km along the eastern coast of Croatia, and has been inhabited since 500 BC. In fact, today there are fewer inhabitants than in that period. Looking at a map you can see the names of hundreds of villages, but in reality they are just names of villages that no longer exist. Now there are only ruins of houses abandoned fifty years ago, due to rapid industrialisation and demand for labour at the coast. During the 1960s there was a massive demand for labour in various factories, shipyards and industries. People who were struggling to sustain their existence left their homes and fled to the cities, seeking jobs and a better life for themselves and their families. The deserted houses quickly became ruins and vast mountain pastures and plains turned into wild forests and bush lands. Except for the village of Krasno in Northern Velebit, we personally know only two people that permanently live on the mountain in the village Borovački Pod. 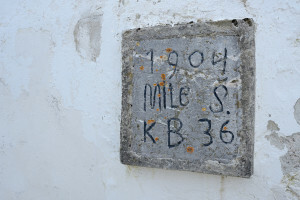 In 2008, my husband Radovan and I rebuilt and restored our old stone family house using authentic techniques and design, whilst adding touches of ‘luxury’, such as electric light and running water. The house was built in 1904 by my great-grandfather who had seven children; my mother was one of them. Today, it is difficult to imagine how those seven children survived at all in difficult living conditions on Velebit. My grandfather and grandmother passed away very young and the children were left to take care of themselves. The eldest child was at that time fifteen years old and the youngest only two. My mother left the house last, in 1965, and the house started, bit by bit, to fall apart. In 2008, we decided to renovate the old house on Velebit, but we could not find anyone who would work on the house in harsh conditions – with no water, electricity or a place to live. So, the only option left was to start rebuilding it on our own. The furniture and other items in the house were either restored or were hand made by my husband Radovan, whose passion is working with wood. The renovation of the house lasted three years because work could only be done during the five months of spring and summer. During autumn and winter no construction work was possible, as temperatures fall below 20°C, deep snow of over two metres covers everything and is frequently accompanied by the north wind which blows up to 250 kilometres per hour. We are now proud to say that everything in the house, all the construction work, including all the furniture, was the work of our own hands. When the house was finished, when the tap began to flow, when we could use the bathroom and turn on the light, just like a normal, modern house, we started using the house more often. There is some magical pleasure to be found here; you can feel it while you drink a glass of good wine with food prepared traditionally under the bell (peka) of the open fire, listen to the crackling wood and the sounds of nature and wildlife outside, and look up at the clear night sky with millions of stars. In the past, we often invited friends over for the weekend and also left the house to be used by some of our dear friends. It was not long until our friends were wondering why we did not rent the house, so after a few years we started to rent it to people who love the untouched nature and wildlife, and the solitude and privacy that you can find in the Velebit mountains. During their screening of nature and wildlife oriented small and medium businesses, Rewilding Europe identified Mons Baebius as one possible financial beneficiary. Our application for a Rewilding Europe Capital (REC) loan and REC technical support was approved, and a contract was signed securing us a loan, marketing materials and a website for ”Mons Baebius”, designed to promote the house on a series of travel websites. In the future, our guesthouse will also generate rewilding revenues by collecting a levy from the guests of 2.50 EUR per booking per night, which will be managed by Rewilding Europe and distributed for rewilding activities in Velebit area. 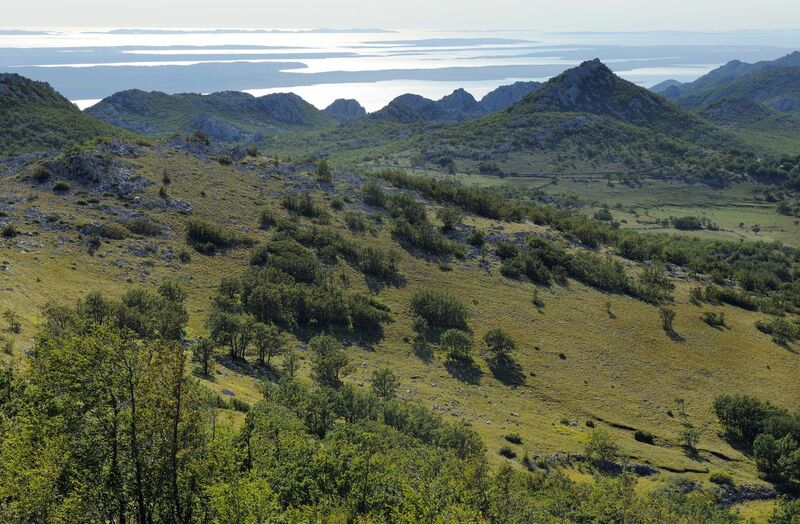 We share Rewilding Europe’s vision for the protection of Velebit and think that nature based tourism will in the future bring vast social and economic benefits for the people living in this region. The funds from Rewilding Europe Capital enable us to actively promote and improve our business, and therefore give the opportunity to people to experience and enjoy a relaxed experience in nature, in the heart of the untouched landscape and tranquillity of the Velebit mountains. 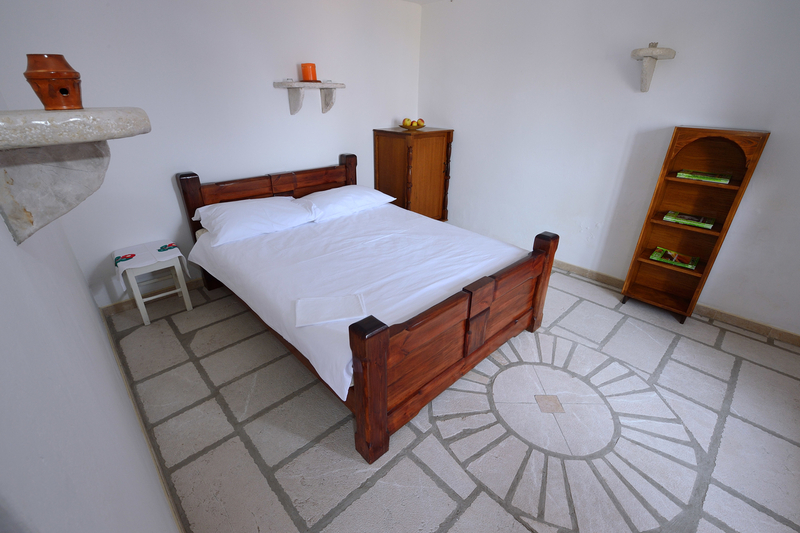 A vacation at our guesthouse is a one of a kind experience that we offer to nature lovers. Visit the recently opened website of “Mons Baebius”.